I have been treating my beard to Tactical Beard Care ‘Stand By’ Beard Balm. 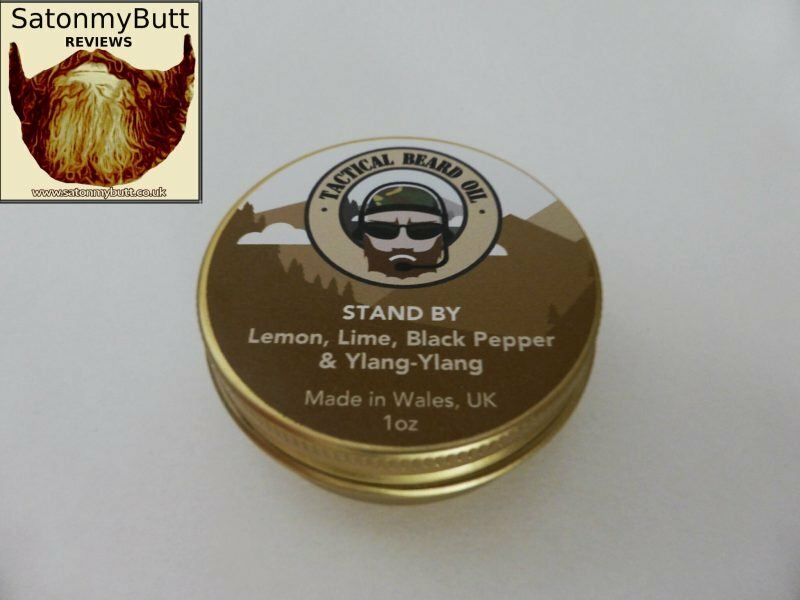 ‘Stand By’ Beard Balm from Tactical Beard Care is a blend organic lemon, lime, black pepper and ylang-ylang that gives a sweet confectionery like scent with a very slight peppery backnote. Built on a base of Organic Bees wax, Shea Butter, Argan Oil, Vitamin E, Coco Butter and Jojoba Oil this balm has a firm hold and for me that’s perfect. I like balms and my scruffy beard always looks better when I am using a firm hold balm. Although given a firm hold from ‘Stand By’ balm, my beard still felt naturally soft and it also looked good with a healthy sheen. The scent is at the right strength and it lasts throughout the day. The ingredients in this balm will not only keep your beard looking good, they will help to keep the skin under your beard in the best possible condition. They will help prevent beard itch and beardruff and keep the skin moisturised. Tactical Beard Care ‘Stand By’ Beard Balm comes in a 30g/1oz tin and is available from the website for £9.99 or on subscription for £7.49. You can keep up to date with Tactical Beard Care on Facebook, Twitter and Instagram.